The cheapest way to drive a massive audience from Germany (95% guaranteed) to your content! 1- Do you offer other geo-targeted countries? 2- Can I increase or decrease the number of visitors per day? Yes, feel free to contact us . 3. how many link allowed ? Only one link allowed per order . 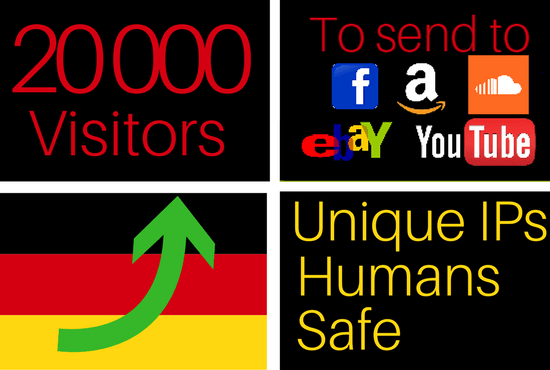 Drive 20k traffic visitors from Germany to your website is ranked 5 out of 5. Based on 4 user reviews.